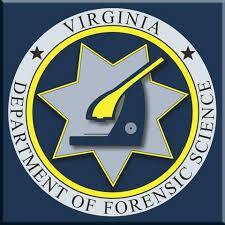 The Virginia Department of Forensic Science (DFS) has worked with a group of Virginia criminal law stakeholders, including private defense attorneys, commonwealth's attorneys, judges, and the Indigent Defense Commission, to create a series of free courses for criminal lawyers to better understand forensic science disciplines and their application at trial. Katya Herndon, the chief deputy director of the DFS says, “This program was designed for Virginia criminal attorneys because we are tasked by statute with providing forensic laboratory services in criminal matters in the Commonwealth. Our pilot program will be on DNA,” with courses on other topics planned for the future. Applications for the program will be available on June 2 on the DFS website homepage, with a June 22 application deadline. Those selected will be notified by July 13. Each class will be limited to 25 criminal lawyers with five additional spaces held for members of the judiciary.